iTunes is the best marketplace if you want to search the digital media contents online. But you know that you cannot transfer files like movies or videos from iTunes to other devices. This is because of the Digital Rights Management (DRM) issue on iTunes that prevents other users from enjoying the digital content on any other devices. The issue actually hampers the overall user experience because everyone wants to enjoy great digital media content available on the iTunes. 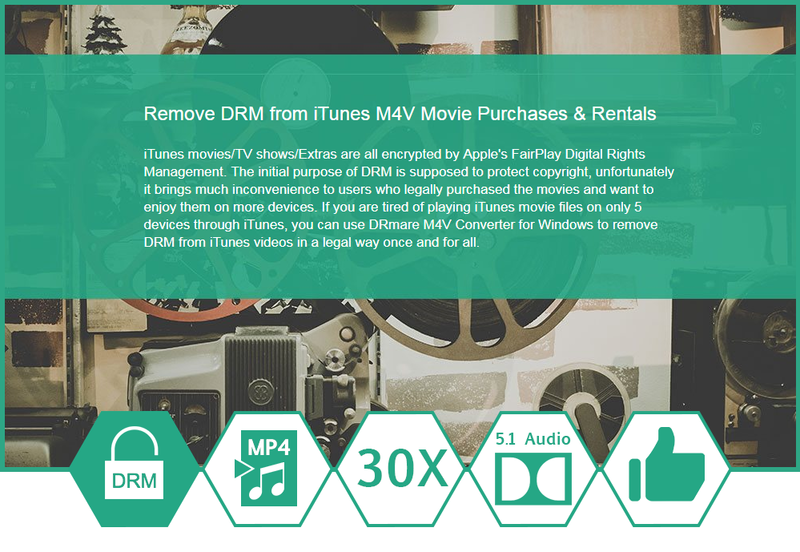 To help users, in this case, there is the DRM M4V Converter that helps you in enjoying the endless movies and videos of iTunes. 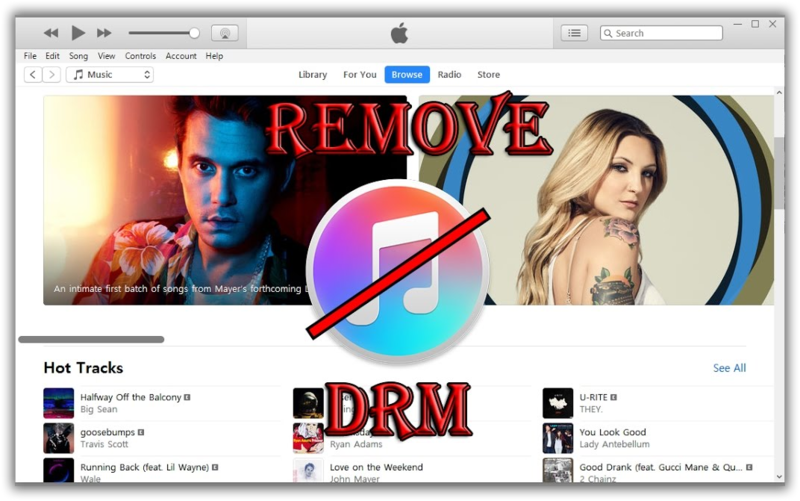 It offers the best and easy way of breaking DRM restrictions from iTunes video content to the users. The DRmare M4V Converter allows you to convert iTunes content into the MP4 format. The DRM M4V Converter for Windows is a specially designed tool that is capable of converting iTunes M4V video files into lossless files that are supported by the Windows. It converts only MP4 and M4V output formats. Not only this, with this DRM M4V Converter for Windows, you can customize the subtitles, audio tracks, and other output folders as per your choice. Or we can say that these make the videos look more personalized to you. This DRM removal software guarantees the highest performance at all times without any hindrances. If you ever compare its speed with other conversion software, you will find that it is the fastest software out of all available in the market. But one must also keep in mind that the speed of conversion is also affected by other factors like operating system, CPU, GPU, Memory, and the programs running in the background of your device. Many Apple Music subscribers may have tried to sync downloaded offline Apple Music tracks to iPod Nano or iPod Shuffle for playback, but only got a warning message from iTunes that “Apple Music songs cannot be copied to an iPod”. Though there are so many user complaints, Apple will never provide a feasible solution for you to solve this problem. Luckily we found an excellent software program called TuneMobie Apple Music Converter which can help you to enjoy Apple Music on iPod Nano or iPod Shuffle. 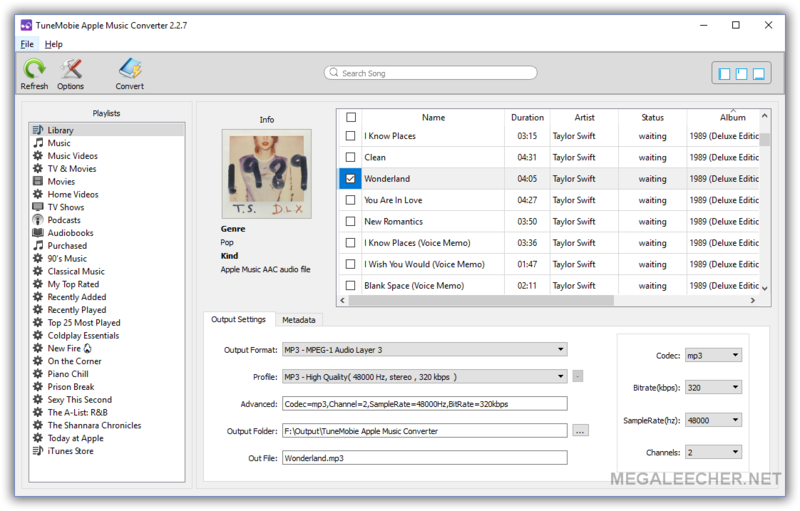 TuneMobie Apple Music Converter can convert Apple Music tracks, M4B/AA/AAX audiobooks and other iTunes supported audio formats to MP3, M4A, WAV, FLAC, AC-3, M4R, etc., and ID3 tags like song title, album, genre, artwork, artist, track number, etc. will be preserved. Besides, the program allows you to modify metadata and rename output songs by ID tags. Apple Music and iTunes has slowly and steadily taken over our daily multimedia experiences, there is no doubt that both of these offerings by Apple have scores of advantages and convenience attached to them, at the same time we have to face the copy-protection DRM mechanisms in place which can be a heart-breaker even when adhering to fair-usage policies. But, worry not as we have some excellent tools to bypass these restrictions and enjoy DRM clutch free multimedia.